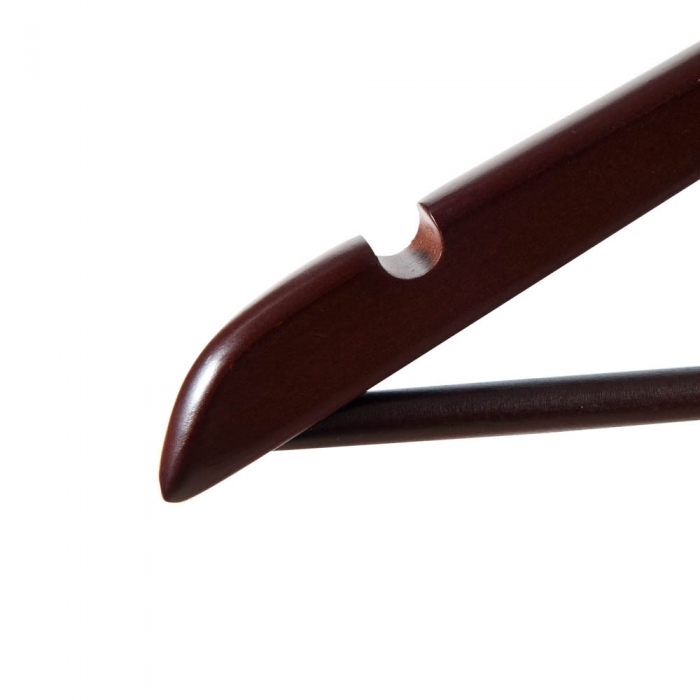 Walnut Wooden Wishbone Hanger with notches. Includes centre bar with a gold hook. 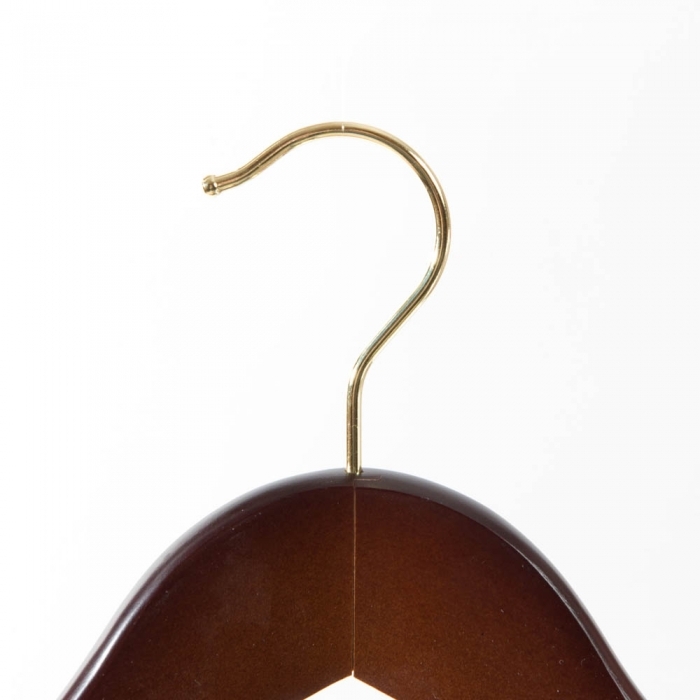 This hanger is 44cm (440mm) wide. Sold as a box of 100 hangers. 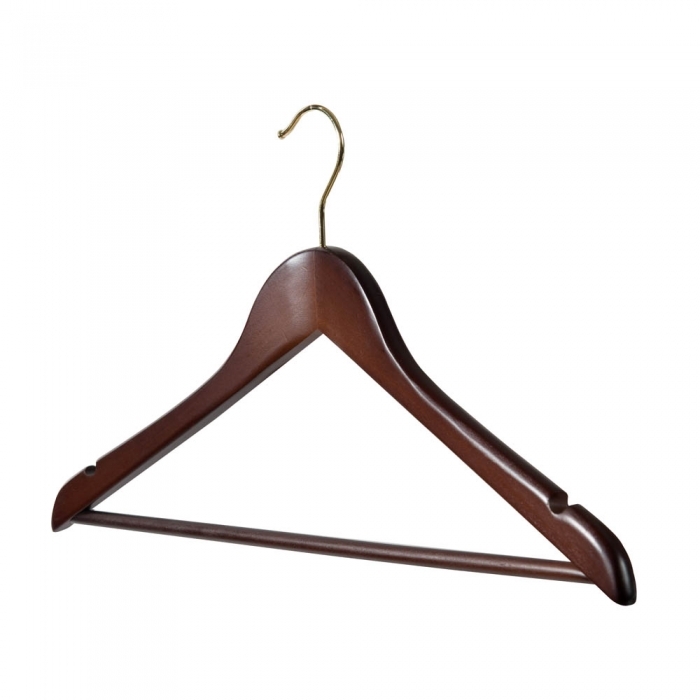 Perfect for the retail environment and sold to retailers throughout the UK and equally suited to the home the walnut wooden wishbone hanger is ideal if you require a hanger for garments such as T-Shirts & Trousers because it also has the flexibility of a centre bar. 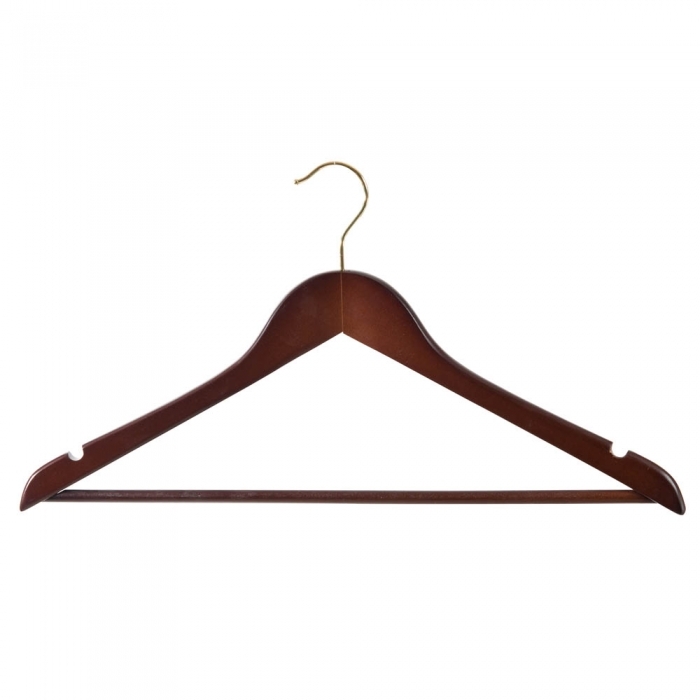 It is also in a walnut finish that is not widely used say as the traditional natural wooden hangers so if your display requirements was to have hangers in walnut you would stand out from the rest.